General Electric. Brand new in the crates! CG-35ABE Modulator. Includes Rotary Spark Gap, GE 8378385GR1, driven by 1/6 HP 115 vac, 60 Hz motor. 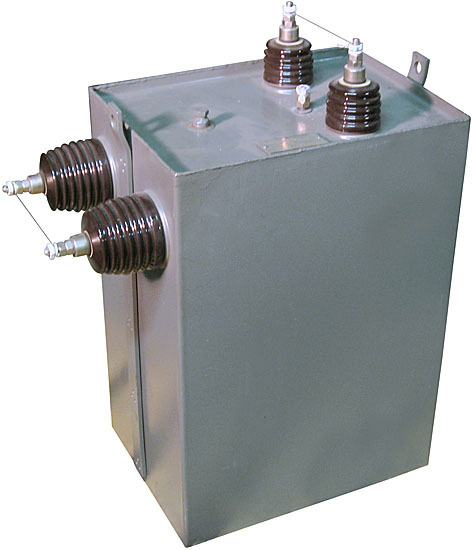 High inductance, high voltage transformer, G.E. Cat.# 83118065, 11,200v (22.8kv peak). Motorized (with G.E. 115 vac, 60 Hz drive motor) voltage regulator / variac, 115 vac (±30.4%), 60 Hz, 16.2 amps, 132 pounds. 24" deep x 28" wide x 59" high. F16-M-40951-2491. Crated weight 1,460 pounds. APS-20 radar systems were the heart of WWII surveillance, used in the Boeing B-17 Flying Fortress and P2V-2S Neptune. This new and complete unit contains all of the items featured on this page plus many more! In today's dollars the CG-35 sold for $250,000 about 60 years ago. We have no nomenclature on this unit and can supply no operational instruction or advice. Surplus Sales is not responsible for the use or misuse of this apparatus. Only qualified personnel should attempt any experimentation involving the CG-35. May contain products considered hazardous to today's standards. We are thinning the herd. I have 50 units in stock and will conduct a sale until 25 have been sold. This is a once in a lifetime chance to own both a piece of history and an excellent building block to many different energy related projects. Attention Tesla Builders! Here is the Cadillac of all building blocks. Rotary spark gap generator removed from new General Electric radar modulator. Manufactured in 1950's. Complete modulator with power supply above also available to the left or purchase supporting components ala carte on this page. Spark Gap experimentation continues and thrives today. Take advantage of fantastic savings by re-purposing US Government sponsored parts worth 50 times our sale price. Drive motor is 115 vac 60Hz 1/6 HP. Motor RPM = 1800.04" x 6" observation window. Overall dimensions: 23" x 17" x 15". Notice direct drive rotor with 2 stainless steel posts with tungsten tips that rotate by 2 stationary posts that feed thru end panel. (See close up pictures). Approximately 1/16" spark gap. Stator Rod = 0.082 Diameter. Tungsten Rotor Rods = 0.121 Diameter. Mounted on shock base. General Electric induction voltage regulator. 115 vac, ±30.4%, 60 Hz, 16.2 amps max. Can adjust manually with knob or electrically with 115 volt drive motor. 115 vac. Removed from rotary spark gap. 9" x 10" x 23" high. Weighs 132 pounds. Cabinet carcass from WWII CG35 modulator - rotary spark gap generator. Parts have been removed. 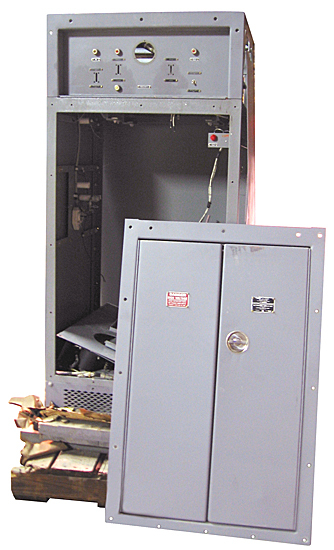 Heavy steel cabinet with 3 solid sides & front-hinged double door. Top drop-down panel. 24" x 28" x 54" high. Very heavy. New!! General Electric 14F129 oil capacitor. 0.05 µF, 25 kv. Removed from rotary spark gap. Likely contains PCB. Overall dimensions: 5-1/2" x 13-1/2" x 17-1/2" high. American Blower Corporation blower fits rotary spark gap. Motor is 115 vac, 1/12 HP.